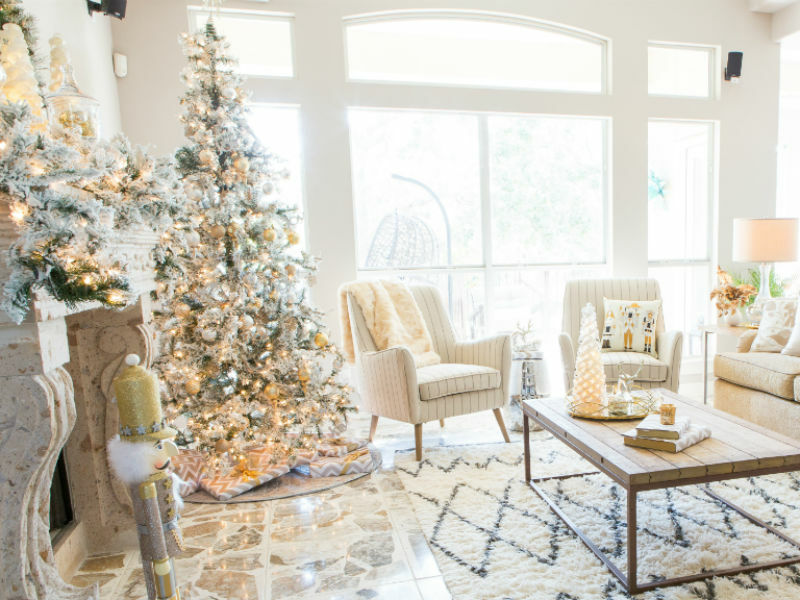 Looking to go a new direction with your holiday decor this year? Sometimes it’s fun to switch things up. There are a lot of fun trends you can play with in your home this year, it all depends on what you’re comfortable with. 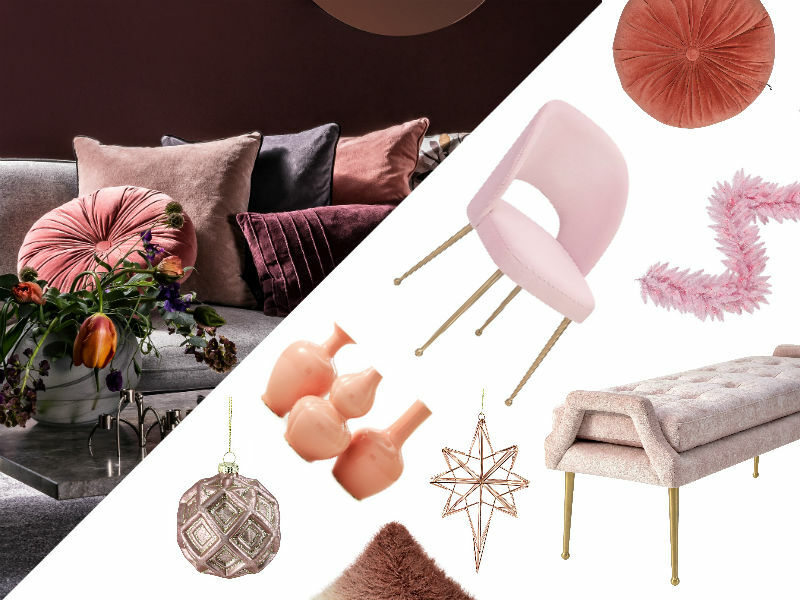 Take a look at some trendy home decor you can try in your home this Christmas (source: Hayneedle). This is a classy, modern take on Christmas decor. You can incorporate velvet textures with blush tones or simply just use blush colored tree decor. This is perfect for the more modern or mid-century modern home. It will certainly be a talking piece at all of your gatherings this holiday season. What is more beautiful and classic than white and silver decorations? It’s easy to do and brightens up your home. Did we mention that it’s timeless as well? Meaning you can use these decorations year after year and it will always be trending. This look goes well in any home, especially those with light colored furniture and walls. If you want to make a BOLD and BRIGHT statement in your home this holiday season, then this style is for you. 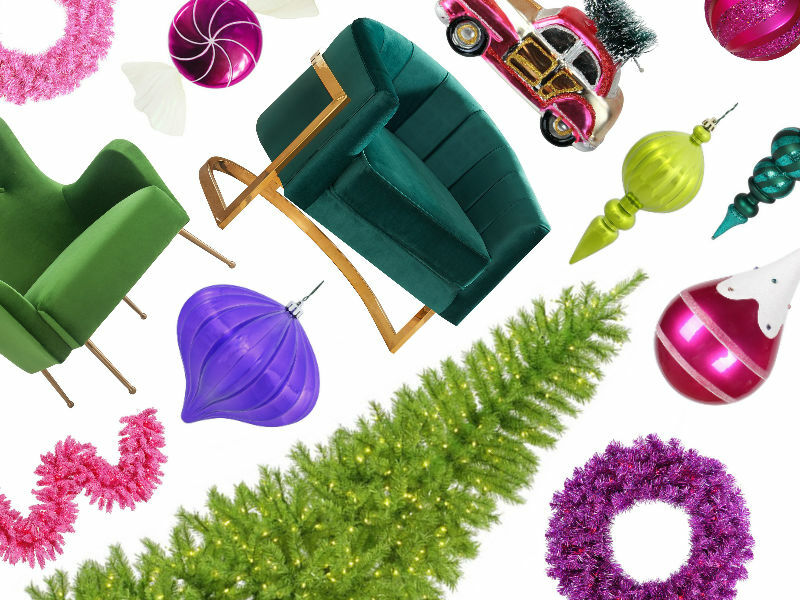 This trending holiday decor involves brightest hues of fuchsia, blue, and lime green. You can really take this trend as subtle or loud as you want. Want to know the best part? It’s kid friendly! So let your kids get involved and pick out their favorite pieces for this style. It will be great for the whole family.